Big Band Magic features the traditional 17-piece big band line up of saxophones, trumpets, trombones and rhythm section fronted by 2 singers. Calli Thomson, musical director and keyboard player in many Barnyard shows, has teamed up with Jeff Judge, seasoned jazz sax player, pianist and big band leader to put it all together. 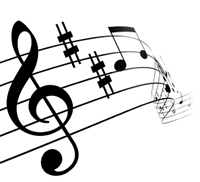 Jeff�s playing skills are highly in demand for concerts, gigs and shows. He is currently director of music at St Anne's and runs the KZN university big band. 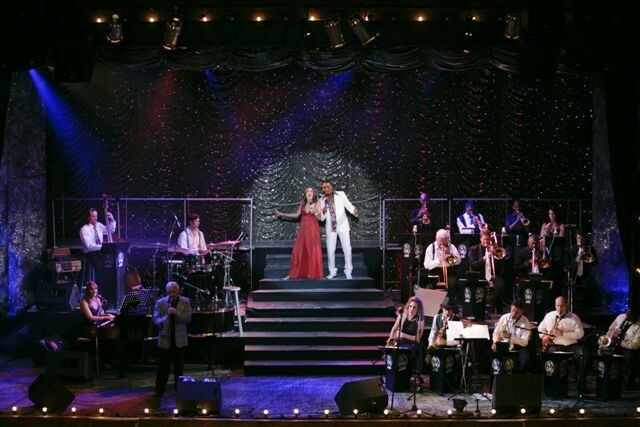 The singers vary – when Big Band Magic appeared at the gateway Barnyard theatre in February 2009 the singers were Durban’s own smooth, suave front man Percy Smith and Cape Town’s glamorous singer-actress Jo Rowlands who relocated to Durban 2 years ago. They wooed the audience with a selection of solo songs and duets by Frank Sinatra, Nat King Cole, Sarah Vaughn and Ella Fitzgerald, to mention but a few, as well as modern versions made popular by Natalie Cole, Harry Connick Jnr, Michael Buble and Robbie Williams. The band includes some of Durban’s finest musicians paying tribute to the great big band leaders such as Glenn Miller, Duke Ellington and Count Basie. Featuring Bruce Baker on drums, Logan Byrne on bass, Calli Thomson on piano, Martin Sigamoney on baritone sax, Colin Mairs on alto sax, Vicky Goddard and Jonathan Judge on tenor sax, Cathy Peacock and George Mari on trumpets, Duncan Wooldridge on trombone and many more. So Durban, you have your very own locally-based traditional Glenn Miller-style jazz swing big band to provide you with a feast of delicious, foot tapping big band jazz sounds! Big Band Magic is available for concerts, parties and functions.